Let’s talk about a difficult condition called scleroderma. Massage therapy might not be among the resources you’d think of in addressing the patient’s challenges with this condition, but you’d be surprised. For a wide variety of conditions, massage therapy becomes a versatile tool for healthcare professionals who add it to their repertoire. When you study the body from a massage therapy perspective, you also gain insight and ideas for your work as a yoga instructor, fitness professional, or other roles where you’re concerned with your clients’ physical wellbeing. It’s both a whole-body and localized treatment. Here’s how it helps with scleroderma when carefully used. 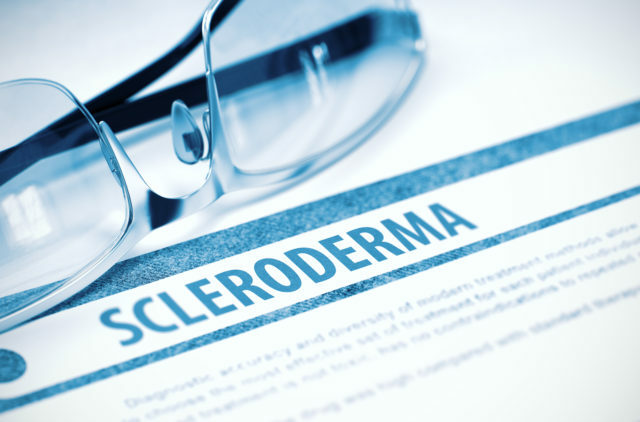 Scleroderma is an autoimmune condition which, like many such conditions, affects women much more frequently than it does men. It causes hardening of the body’s tissues, either locally or throughout the body’s systems, producing a thick feeling to the skin and other stiffness and internal damage. The progression of a client’s scleroderma is an important factor in considering massage treatment. As damage to the body continues, its surface hardens and loses vitality and eventually internal organs can be affected. Massage therapy may not be advisable or may be of limited use during later stages of the disease. Multimodal treatment, mixing massage therapy with treatment by physicians, nurses, and other healthcare providers, can help a patient’s body to respond better to treatment in general. If you have one of these backgrounds, you can augment your clinical skills in a significant way by learning massage therapy. For example, it can help increase blood circulation and possibly delay the onset and worsening of symptoms. Because there are many specialized massage techniques with varying effects on the body, a carefully designed massage program can be offered to clients to address medical concerns. Where deep tissue massage may help with some aspects of a condition, your skill and tactile sensitivity as a massage therapist can help you use a gentler approach, similar to that used for fibromyalgia. Medical guidance is essential when you are working with a client who is diagnosed with scleroderma. Depending on the type and extent of a client’s condition, deep tissue massage techniques may be somewhat useful, but attention to circulation and joint function, breath and relaxation may be more productive approaches. You can provide gentle, repetitive touch to help capillary flow and relaxation, while breathwork and assisted joint movement can help the body stay resilient. Myofascial (muscle) techniques can conflict with the hardening of the body’s surfaces, and generally you should avoid this type of approach. Massage therapy training helps you understand the body from a client’s perspective. In addition to being a caring presence in each person’s life, you learn how to constructively use touch to assist bodies in healing from disease and maintaining health. The power of one human caring for another in a safe, structured setting allows one of the most basic human needs to be addressed — that of touch. As an autoimmune disease, scleroderma is a complex condition and patients may feel at a loss in dealing with it. From nurses to fitness coaches, when people help us with our physical well being, it’s usually with a minimum of hands-on connection and mostly verbal. When you, as a massage therapist, address specific physical challenges which the client is experiencing, you also address the patient as a whole, helping her to develop an inner strength to deal with her life’s challenges. This entry was posted in Benefits of Massage Therapy, Career in Massage, Health Benefits, Massage Therapy Practice and tagged bodywork therapy, career options, health maintenance, injury treatment, massage education, massage techniques, massage therapy, myofascial release, natural health, Scleroderma. massage, Seattle massage career, self-care, specializing, stress reduction, trigger point massage, washington. Bookmark the permalink.